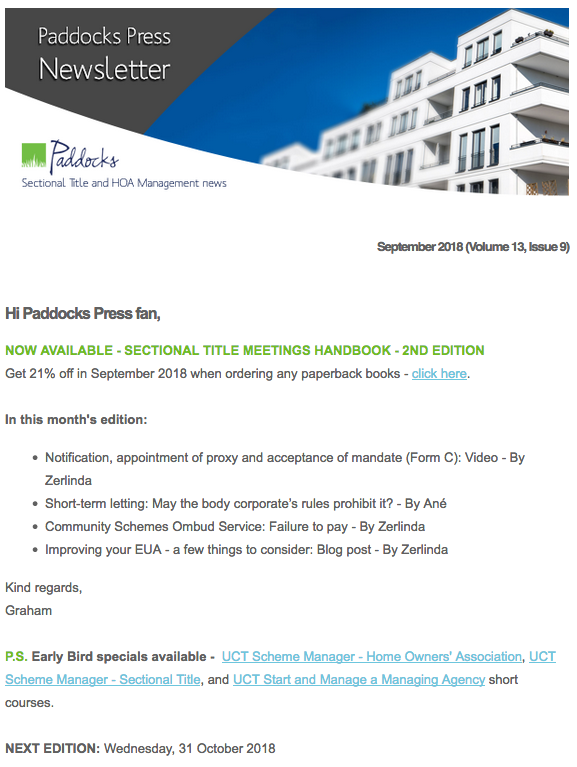 The September 2018 edition of Paddocks Press is now available. Previous Post Short-term letting: May the body corporate’s rules prohibit it? Next Post Radio interview: Can trustees be held liable for their decisions?